The question of how much content to give away for free (and what to charge for it) always vexes online content creators. Fortunately, there is a rather simple rule of thumb to guide you. We begin this episode by following up on last week’s listener question regarding which link is better to include in weekly episode emails: the platform link or the iTunes link. We looked at our Showrunner data and have a better answer for you. Then we dive into the topic of the week: how much content you should give away, and what you should be charging for. Our listener question this week is delivered by Podcast Movement’s virtual ticket. Both Jonny and I will be presenting at Podcast Movement (July 31-August 2 in Fort Worth, Texas), and for those of you who can’t attend the conference in person, this is a way to still benefit from all of the great content that will be presented. Go to podcastmovement.com/register for details on the virtual ticket. And this week’s listener question comes to use from Adam Fraser (@AdamF2014). He asks about the differences between Auphonic and Levelator and which one we recommend. Jonny and I provide our answers. They’re two different things for two different uses. Levelator levels speech volume, Auphonic can clean up audio and get it to standard levels. You would never use Levelator on something with music in it, it would rapidly change the music volumes. Auphonic won’t get you into trouble, but it charges for standard processes one could train themselves to do (if interested). And finally, this week’s podcast recommendation leads into a more-intense-than-expected discussion about podcast advertising and sponsorships. It’s the most recent episode of StartUp: BONUS: But Wait, There’s More! We highly recommend that you listen to that episode and decide where you stand when it comes to the question of giving endorsements or just presenting ad copy. Drawing your line in the sand will make your life as a showrunner simpler moving forward. Jerod Morris: Welcome, showrunners, to episode No. 17 of The Showrunner podcast. I’m your host, Jerod Morris. I am joined today, as always, by my friend, co-host, and defender of humanity, Jonny Nastor. Jonny, you and I get to see each other again next week at Podcast Movement in Fort Worth, which is just a hop, skip, and a jump away from the house that I’m recording from right now. Looking forward to seeing you. Jonny Nastor: Yeah, it’s going to be a lot of fun. A hop, skip, and a jump? Jerod Morris: Yeah, Fort Worth is out there, so it’s actually probably a hop, a couple of skips, and then several jumps — especially depending on the time of day. Jonny Nastor: Thanks for clarifying. I appreciate that. Jonny Nastor: Yeah, I’m looking forward to it. Did you go last year? Jerod Morris: I did not. Jonny Nastor: Yeah, either did I, so this is my first time, too. It’s going to be awesome. Revisiting Last Week’s Listener Question: When you send out an email announcing your new episode, where do you send them to? Jerod Morris: Yeah, looking forward to that. Looking forward to The Showrunner meetup that we have planned. Both you and I are speaking. We’re going to have some information here a little bit later for how people can get their hands on those presentations if you can’t go to Podcast Movement, so stay tuned for that a little bit later in the show. I wanted to kick things off today, Jonny, actually with a callback to last episode. Our listener question was from Philippe, from inside of the course, and we brought it here to the episode. It was about whether it’s better, inside of your emails that you send to your subscribers directing them to listen to your show, whether it’s better to put the link to your platform page with your show notes or the link to iTunes, to your iTunes page. I said that we would go actually get some data. In our Showrunner emails, we’ve been using the link to both the Rainmaker.FM page and to iTunes. I said, “Let’s get some data. Let’s see which one people are actually clicking on.” I have some data. I went back and got five recent episodes, and here is the breakdown of which link people were clicking on. We have 27 people clicking on the Rainmaker.FM link, to seven people clicking on the iTunes link. The next email was 62 people clicking on the Rainmaker.FM link, and seven people clicking on iTunes. That one is slightly misleading because we actually used the link twice. Once inside the body of the email itself, and it was directing people to look at photos. It was for that episode we did on low-cost ways to improve your audio, so that one, little bit different. But then the next three, 35 to Rainmaker.FM, three to iTunes, 26-3, 21-2. All of these to say, the vast majority of the action was going to the Rainmaker.FM link. We decided in our last email to just send people to the Rainmaker.FM link, and we got about the same number of clicks just to Rainmaker.FM. I didn’t see an increase, a decrease. We’re going to do this for the next several emails and see if removing the iTunes link perhaps increases clicks to Rainmaker.FM simply because there’s now only one call to action instead of two. We’ll have a little bit more information. Do those numbers say anything to you? Do they surprise you? What are your final thoughts on this topic? Jonny Nastor: They say something to me, and they don’t surprise me. Honestly, I wouldn’t have linked to iTunes because I don’t really think there’s a value — especially where most people now are reading emails on their phone or on a mobile device. Getting clicks straight through to iTunes, they’re already subscribed probably. They already have the show if they wanted to listen to it. It also shows me the value of the show notes that we’ve been creating. I think people want to go there and get that extra portion of the content, which is either the complete text version via the transcripts at the bottom or just a thorough representation of what is included in the show but in text-based. To me, it really does show the value of doing show notes well. It doesn’t surprise me, but I’m glad we checked because it’s one of those things where you have to test it. We could have made assumptions all day, but now, it’s perfectly clear. Now if I say that, “No, iTunes would only get 10 percent of the clicks, you can’t tell me that it’s anything different.” I just love the numbers. There’s no arguing with the numbers, right? There they are. Jonny Nastor: We might need more to get a thorough representation, but still, we have a good picture being painted. Jerod Morris: Yeah, I know for shows that I’m subscribed to in iTunes and that I subscribe to the email list — and there are some — I wouldn’t click over from the link to iTunes. I would just go to my podcast feed and go find it. I don’t think that’s really the natural flow for how people would listen anyway, so we’ll see. We’ll see if it has any kind of negative impact or positive impact, and we’ll report back later. That was last week’s question. We didn’t have the full information to answer it, so we wanted to give a more thorough answer to kick off this episode. With that being done, Jonny, what do you say we hop in to the meat of today’s episode, which is going to be fun because it’s actually a conversation that we had on Friday. We enjoyed it so much that we decided to bring it back for this episode. Jonny Nastor: I say we should do it. Jerod Morris: All right, let’s jump in, in today’s main topic, Jonny, which we talked about this on a recent Showrunner Huddle that we did inside of The Showrunner Podcasting Course, which will be launched fully on August 3rd by the way. That is coming up, the full launch, for anybody who hasn’t gotten into it yet. We do these Huddles every other week where it’s either a Q&A or we do a webinar or presentation on a specific topic. This one was a Q&A. Somebody asked us a great question, which was about how do you decide what to give away and what to sell? It was an appropriate question to ask us, obviously, because we’re doing this free Showrunner podcast, but then we also have The Showrunner Podcasting Course. How do we decide what content goes here in these freely available episodes? 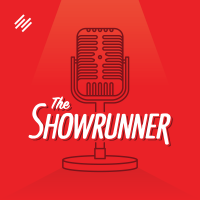 What content goes in the Showrunner.FM content series that you can sign up for via email at Showrunner.FM? Then, what is inside the course that people pay for? Do you want to kick things off here, Jonny, by providing some general guidance on this topic that I know can be a tricky one for a lot of people. It can be hard, so I definitely understand why this question comes up and comes up. It worked well because last week, I think it was Thursday, Copyblogger reposted an older article from Chris Garrett exactly on this topic, and he did it, obviously, so well. I can’t remember what that link was, but we will provide it in the show notes for everyone. I posted it into the Facebook group, and then it was summed up very nicely with how you should give away the what and the why, and then sell the how to — which is true. It’s still tough. Does that clearly state it? Because we give away ‘how to’ on this show, but then we also sell a product behind it, right? Jerod Morris: This is a tough one because there’s no simple answer. I know that kind of answer sometimes frustrates people, but it really will depend on you — what your content is, what your audience is, what they are expecting, the expectations you’ve set. There are a lot of variables that go into answering this question for you. I will say that the best piece of general advice that I’ve ever gotten on this — and I’m pretty sure I got it from two sources. Every time I think about this, I’m not quite sure who to credit. It’s either Brian Clark or Darren Rowse. I’m pretty sure I heard it, read it from both of them: basically to give away so much content that you feel like you’re giving away too much — then give away a little more, which is the basic rule of thumb. A lot of times we pull back and we think, “Wait a minute, if I give all of this away, what is there left for people to pay for?” I know sometimes with the kumbaya nature of the Internet sometimes, we want to provide all this free content that we can sometimes feel uncomfortable saying, “What am I going to charge for? I need to get paid.” At the end of the day, what’s great about that is it actually allows you to do more and engage more with your audience. We talked about this on the Huddle, that we can do so much on The Showrunner podcast, and we love doing it. Even if there were no course, even if there were nothing else, you and I would continue doing the show because we really love doing it for free just to pass along lessons and advice and transfer our enthusiasm on to other people, like other people did for us when we were first coming up. You and I, obviously, have bills to pay. We have jobs. We have things that we have to do that, if The Showrunner is not generating revenue somehow, we’re not going to be able to do those things. Creating the course helps us do that. It allows us to go on a deeper level with people inside the course, do these Huddles, and create the lessons that are in there. When you’re looking at this line — what do you charge for? — it’s that next level of engagement. For us, it’s access to us. People inside the course get a really deep level of access to us. They get the additional training with the Huddles that we can’t do live and just give away for free all the time. They get the very structured how-to process. When you look at it from a how-to process, a very structured lesson plan, step by step, with action guides, and then providing the content in many different mediums. Inside of a course, for example, right now you can listen to this episode. You can get the transcript. Inside the course, you can watch a video. You can download an MP3. You can see it in transcript form. You can get the action guides to go with it. So there’s more. There are different formats available. All of this is extra, going to the next level. Plus, if there’s any type of community, people will really pay for that support, for the shared enthusiasm. Those are the kind of things, those next-level opportunities for value, that people will pay for as long as it’s really built on that foundation of so much stuff given and given and given, a lot of value given, and then people will take that next step. Again, I don’t know if I defined it any better than you did. It’s not like, “Okay, you give away XYZ. Then this type, you pay for it.” It’s not always that simple, but those are some general rules of thumb. Jonny Nastor: I think you did it really well. It really does come down to that thought that everybody has in the back of their head, “Am I giving away too much information?” As you said, Brian and Darren said, “You’re going to have that thought, and as soon as you think that, give away a little more.” Don’t then stop and try and pull back. That’s what most people do. Then, the content stops being valuable. Since you’ve been talking, it’s become more clear. I’ve got down to three ways to do this and three ways that we do it. I think we do it fairly well on The Showrunner and three things that we put into it. The very first one, of course, is to teach — teach and engage the audience. We are working on building up this audience and then engaging with them. Whether they want to join the course or not, we spend just as much time via email, via Twitter, and via Facebook to engage these people and help them as much as we can and to teach them. I think that’s super valuable. If you don’t have that because you’re just holding information back because you think it’s too much, then you’re never going to get that level of engagement. Nobody wants to be just like, “Well, if you pay me, I’ll tell you a little bit more.” People just don’t want that. It’s got to be something different or something deeper that is on the other side, but that’s irrelevant in the teaching stage. Then, we connect with peers, which also helps us to gain authority within the marketplace. We do this usually with recommendations. This comes from Chris’ article. This is where I’m taking this three things. He mentioned six of them in there, but the three that we do really well is that connecting with our peers, which is other people who run shows. We do that through recommendations to our audience, but then it does send links out there. We get these people coming back to us and engaging with us. It puts us on that level. It gives us that authority with them. Plus, they can help the course at times when the course is live. It’s a good, valuable thing to do, and then we encourage the sharing of ideas. We make the show valuable enough and also shareable so that people want to share it with them so that it spreads, so our message then spreads across other platforms, other people’s platforms, and further. That’s also very much connected to the peers and connecting with the peers. They can share our content across their platforms, which then spreads our message — which is all about teaching, engaging our audience, and widening the net for it. Then, hopefully, once we engage with people far enough, that it takes them to the paid side of the content. Those are the three things from what you said Jerod and then that connects to exactly to Chris Garrett’s article. Those are necessary because it’s focusing on the content now. When you’re focusing on the content now only partially, but also always thinking about the next piece, the paid piece, I think that’s where you lose it. You just have to focus on what you are producing now. If that’s free, then that’s what you’re producing. You’re only worried about making that as valuable as the paid content — different, but as valuable. Jerod Morris: I love how you broke that down, and Chris Garrett knows as much about this as anybody. He’s so good at explaining it, so I highly recommend that article. It was just, “Here’s the topic. Let’s make this as great and as valuable as we can for everybody.” It’s not like it’s chock-full of just, “Hey, if you want to learn more, go to The Showrunner course.” Each email is almost its own substantial blog post with other resources and links elsewhere just so you can learn these topics. That’s the main idea. I think you hit that well that, with the teaching and with the content that you’re putting out, make that as good as it can be. Then, the one other distinction that can be made between free and paid is a lot of the free advice, you may think of that more as general advice. When we’re on here talking, we’re giving general advice about making great shows, about podcasts. A lot of times, what people will pay for is more custom advice. There are people in the course who are able to ask very specific questions about their show and really dig deep, and people will pay for more custom training. We can’t do that on Showrunner. We can’t take every single iteration of a show and give advice on it. We can give general tips and use our shows and our experiences as examples, but that’s another place where, again, that line between free and paid can be drawn is for custom. Any other final thoughts on this, Jon, before we hop in to our listener question? Jonny Nastor: I think we did it. Jerod Morris: We nailed it. Jonny Nastor: I really don’t think we should give out too much more for free. Jonny Nastor: We should probably get off this topic. Jerod Morris: Yup, to hear the rest of this episode of The Showrunner, $25. No, just kidding. Jonny Nastor: So bad. When you said, in the email, how we don’t put just a little tiny bit of the email and then, “To find out more, go here.” We’ve all gotten those emails from companies. You’re part way through, it starts off, the first paragraph’s good, and then it’s like, “This is the first email to me, and you’re already trying to just direct me to a sales page?” It’s like, “Delete, I’m off this email. I don’t want this. You told me I was getting good content, I was getting lessons about something, and now you’re instantly just, ‘Oh, you want the lessons, go here. '” I loved how you said that. I think it’s key. So get on that email list, and you’ll see the way that we do it ourselves. Jerod Morris: Christina Canters’ email list is a lot like that. She’s got that 21-day confidence challenge. Every single one of those is a thousand-word blog post, full, complete value just in your inbox right there. It’s not trying to sell you on something or anything like that. It’s great. I wonder if, when she was writing that, she was like, “Man, I’m giving a lot of this away for free.” It’s helping people connect, going to her audience, and giving her people a lot of value. Jonny Nastor: Yeah. You’ll never go wrong doing that. You’ll never go wrong building that audience and that connection. You just won’t. Even if you don’t get to sell them immediately on your first product or everything you have for sale even, it’s having that connection. That audience will seriously be valuable. Jerod Morris: Play the long game, folks. Play the long game. Jonny Nastor: Yeah. There we go. Jerod Morris: Hey, I’ve got some exciting information about how people who aren’t in Fort Worth next weekend can see us. Do you want to hear that? Jonny Nastor: Ooh, I would love to. Jerod Morris: That’s coming next. Jerod Morris: Today’s listener question is sponsored by Podcast Movement. As we talked about earlier, Jon and I will both be at Podcast Movement. We will be presenting there. Rainmaker Platform is the title sponsor for Podcast Movement, so you’ll see us there. Demian Farnworth will be there. A lot of members of the Copyblogger team will be there. It’s $497 for a ticket to Podcast Movement. Obviously, you have to travel to Dallas, get to Fort Worth, all of that stuff. This may be a little bit of a late notice for people who actually want to go there, but if you do, we would love to meet you. If you can’t go, but if you would like to still see my presentation, see Jonny’s and see all of the other presentations and keynote speeches that there will be — and the lineup for Podcast Movement is incredible. Marc Maron is going to be there, Sarah Koenig is going to be there, and many others. You can go to PodcastMovement.com and check that out. If you can’t go, but if you still want to be entertained by these presentations, learn from them, it’s $297, that’s it, for a virtual ticket. What the virtual ticket gives you is on-demand audio and video recordings of every breakout session and panel discussion and most of the keynotes speakers at Podcast Movement 2015. You can access them or download them via a private virtual ticket. It’ll come within 30 to 45 days of the end of the event. Again, just $297 and you can get all of the same information that the people at Podcast Movement got. Go to PodcastMovement.com/Register. You’ll see the option for the virtual ticket. Check that out. Again, Jonny and I will be there. We’ll be presenting. We would love for you to have an opportunity to see those presentations, and that is the way to do it. Listener Question: At the end of a podcast production, do we recommend Auphonic or Levelator? Now, on to today’s question. It comes via Twitter from Adam Fraser, not exactly sure how to pronounce that. Adam, thank you for your question and for your continued support on Twitter, we really appreciate it. He asked us about audio quality leveling. The question is, “At the end of a podcast production, do we recommend Auphonic or Levelator?” He says he uses Audacity as his core editing platform. I have only used Levelator myself. I do not have experience with Auphonic. Jonny, I know you do, so I will let you handle the recommendation here. Jonny Nastor: I have only used Auphonic. The reason why I did that was because I was starting my show a year ago, and at that time, and still I guess to this day, Levelator is not supported anymore. You can still download it for free, but it hasn’t been supported by its developers for the last couple of years. Although it works, at some point — and that could be at any update of any software that we use at this point to produce our shows — it’s just going to stop working. To me, it was, “I’m going to go through this learning curve and put this all this effort in, and literally, within a week or within a year, it’s going to just stop working. I’m going to have to move over to Auphonic anyway.” I just went with it. You do have to pay for Auphonic, and you can download it. You have it as $11 a month for up to nine hours? Jerod Morris: I think so. I just checked this morning. You can use it online, and it’s free for up to two hours per month of editing. There’s a free version, but it’s $89 I believe for the personal license and $389 or something for the commercial. Don’t quote me on that. I’ve heard that they’re very generous with the personal license, so I think most of our listeners would be able to use that. Jonny Nastor: Yeah, and I’m trying to remember because you can do it with credits. It’s actually a really strange product. They’re great at making software, but they’re really bad at selling it. It’s the most confusing pricing page I’ve ever seen. I paid for it. I paid like $90. Jerod Morris: That’s the personal license. Jonny Nastor: That was either for one year or for just forever. I just paid that because I knew that I was going up, obviously, to three a week. The hours just didn’t make sense, so I just went with it. Then it literally just downloaded. It’s right on my desktop, and I just input it. When you’re using the online version, you upload your audio, and then you have to wait. You can be in queue and that can take a couple of minutes, or it could take upwards of a half hour or an hour to get your audio back, depending on the load of the queue at that time. Jerod Morris: In the words of Sweet Brown, “Ain’t nobody got time for that.” Just thought I’d throw out in there. If it took me two or three tries, half the day I’m sitting there trying to figure it out. Yeah, Auphonic that’s the one to go with because it is supported. It is paid. But if you want, Jerod’s been using it for this show, Levelator, at this point. Jerod Morris: We’ve used it some, yeah. Jonny Nastor: It has worked so far, and it could continue to work for years to come. We don’t know. It’s not supported, so I didn’t go that route. Jerod Morris: Good answer. It’s actually a really good segue into our podcast recommendation, and you’ll find out why next. Okay, today’s podcast recommendation, we have one because I think it’s a really strong recommendation, and we both really want people to listen to this. What will happen when you listen to this episode is that it’s going to make you ask yourself some tough questions that I think every showrunner should ask themselves. The podcasting recommendation is StartUp, which most everybody knows, and I will say the show StartUp, I do want to give them a hat tip. The way they go behind the scene, show the warts, give you the full view of what goes on, that is part of the inspiration for The Showrunner and how we like to take you behind the scenes and let you see us making the episode as we’re making the episode. 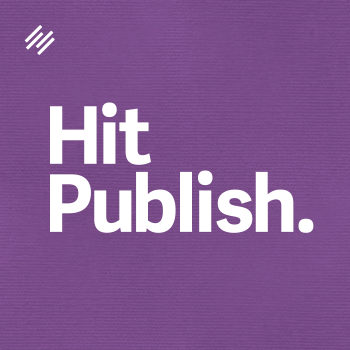 Hat tip to Alex Blumberg and the guys for creating a really important show both just because it’s interesting and entertaining, and for moving the medium along a little bit. A big fan of StartUp, but they recently did an episode, it’s a bonus episode. It came at the end of season two, and it’s called BONUS: But Wait, There’s More. It’s an episode on advertising, and it includes a discussion between Alex Blumberg and the hosts of Reply All where the hosts of Reply All are very uncomfortable about a particular advertisement that they ran. You know how you listen to ads, and it’s kind of just an objective reading of the ad copy. It’s not necessarily an endorsement. You know that the host was given this copy by the advertiser, and they’re reading it . There was a particular ad they did where it actually included an endorsement. They talked about how one of the StartUp founders had used this particular product, where they liked it. To these guys, the hosts of Reply All, who have a journalistic background, they really saw it as infringing on their journalistic integrity to actually be making this endorsement instead of just reading ad copy. I thought it was a really, really interesting thought experiment to go through and figure out for myself how I feel about it. I can see it from the journalistic perspective and how you can view it as compromising your integrity almost. You’re putting this endorsement out there, but what if something happens with the product two or three weeks down the road. Now, you’ve endorsed this thing. I can see that, yet for myself, I know that I don’t ever want to endorse a product, paid or not, that I haven’t used. Look at what we just did with Auphonic right there. That was basically a two-, three-minute advertisement for Auphonic that we did not get paid for Just because it was an endorsement. We’re sharing this information with you, our listener, because it’s a question that you have. It’s a paid product. That’s fine. We’re still going to give you our personal experience with it. I don’t have the same problem with it those guys did. I’ll be curious to get your thoughts on this, Jonny, and maybe we expand this into a whole episode at some point. I really highly recommend that everybody go listen to the episode. Whether you’re going to have a paid advertisement or even whether you’re just going to endorse something on your show, you really want to think through how you feel about this. It’s just important to know, think through the consequences, the benefits, and just make sure that you’re doing it intentionally and not doing something that, later on down the road, you’re like, “Wait, why did I do that?” What are your thoughts on this, especially, you’ve had an advertisement on your show before? Jonny Nastor: This is interesting because I’ve only had one advertisement so far, but now it’s moving. This past month I’ve moved FreshBooks down from all my advertisements to just one per week. At the same time, I joined Midroll. Midroll will find advertisers for me now, for my show. The way it’s supposed to work is that I’m supposed to only object to an advertiser being on my show if it’s moral objection or if there’s a direct business thing. That where there’s like, “We can’t.” There’s a conflict there, and otherwise, you’re supposed to not judge whether it’s right for your market or not. I haven’t actually listened to the StartUp episode, and I’m going to. This is interesting because, last week, I was looking at my calendar, and this episode, today, Monday, and then tomorrow is Tuesday were the two in the next month and a half that I have where there’s no advertisers scheduled for it. On the other side, I have a really good friend of mine who helped me with Hack the Entrepreneur, my first website. He put it up, did a ton of work for me, and he just launched a brand new company. I was like, “Your new company is perfect for my audience. I want to do two ads spot for you,” and it was funny. I was like, “Can you give me, like every other advertiser gives me, 15 to 20 talking points, and I’ll talk it into my voice.” It was funny because he gave them to me, and they were like full-on endorsements. Nick, he might listen to this, and that’s fine. You can tell what this company is if you go to Hack the Entrepreneur and see. The thing was, I read it, and we went through this — and I didn’t know we were going to talk about this. It’s not going to work, so I said, “I’ve got to treat you like a paid advertiser like I don’t know you, like we’re not friends, like we don’t have coffee together.” It was interesting because there is that line. Although with podcasting, the pitch for podcasting advertising is that it’s read in my voice. It’s read by the host. It’s not like television where it’s literally an ad created by the company and just cut into our piece of content. It is our voice. In the back of your head, there is that connection of almost endorsement but not really. I don’t know how you can fully endorse products you don’t know. Jerod Morris: Yeah, it’s funny because they talked about that. They eventually decided that they’re going to change. They’re not going to do those kind of ads on Reply All anymore where there are endorsements. They even said, “The next time we go back to this advertiser and we say that we can’t do this endorsement-type ad, they’re going to be a little less excited to renew, to re-up because that expectation has now been created.” They expected that it’ll be a step back to maybe take a couple forward. Again, it’s really interesting. Most podcasts are good about doing this, and StartUp especially — having specific music. You do this on Hack the Entrepreneur, so you know that it’s an advertisement. The difference between that and then just a discussion inside of a show like we just did with Auphonic where everybody knows there’s no money exchanging hands here, it’s just an honest discussion. You happen to endorse that product, to a certain extent, simply because you used it. It’s really just more sharing of an experience than an endorsement. There’s a lot of gray lines, but I think what you just said, that you’re going to do with Hack the Entrepreneur, what the guys on StartUp said, it’s smart to draw lines. I don’t know where that line is for everybody, but I do think it’s important that all the showrunners think this through and know where their lines are. It’ll just make operating much simpler and better moving forward. Jonny Nastor: That being said, those lines I know are hard when you’re starting. Like you said with Reply All, they have to go back now to that advertiser and try and get the ad spot again, but now the contract’s changed. Because when we’re starting, we want to try and give advertisers everything, “Here’s all the stuff I can give you just to be my first advertiser.” We really want it. Then after you start getting a few people coming to you for advertising, then it’s like, “Whoa, actually I can’t do this for all of you.” Now, we got to back track. I did this with FreshBooks. That’s kind of how it was. I had one. I use the product, so I could fully endorse it. Then, when it was like, “Okay, now I can’t just keep that one. I have to go to more.” Now, I did have to backpedal and now change the way I do it, which is okay. It’s hard. I know that it’s hard at the beginning because you really want those advertisers at the beginning, and you’re willing to do more. I see people that will Tweet stuff out. They’ll also post it on Facebook. They’re trying to give this whole big package of stuff to their advertiser just to get them. If you start getting a different advertiser for every episode, it’s going to be really hard to make that valuable to everyone. It’s a tough line. It really is, but it’s true. Really stop and think about it, and think about what it is you want to provide in the long run and in the short run. Jerod Morris: Yeah, I feel like we could talk about this for a lot longer. Maybe we’ll expand this into another episode at some point. Jonny Nastor: I do feel like that was our longest podcast recommendation. Jerod Morris: I agree. That’s why we only wanted to do one. Jonny Nastor: I know, exactly, so it’s good. Jerod Morris: Yes, it was. All right, that wraps up another episode of The Showrunner. We thank you so much for being here, for giving us your ears, for giving us your attention, and for continuing to support The Showrunner. We really appreciate. A quick reminder, go to PodcastMovement.com/Register and check out that virtual ticket, if you want to see our presentations at Podcast Movement. Here we go again not taking our own advice and giving two calls to action at the end, but they’re both important. Go to Showrunner.FM. If you’re not on the email list already, there is that new content series, The Four Essential Elements of a Remarkable Podcast, that we want to share with you. The main goal is — especially if you’re joining us late, you haven’t listened to a lot of the past episodes yet — we want to give you the foundation of our curriculum basically. These are four pillars really of any remarkable piece of content, but we specifically apply them to podcasting, to showrunning. If you are already on the email list by the way, we’re going to put this into an ebook and send it to all of you. You’ll just get it. You don’t need to sign up for the email list again with another email address. Although we appreciate it if you would think of jumping through those hoops to get the series, but you don’t need to. We will put this into an ebook and send it out to you sometime in the next week or two. Be on to look out for that. All right, Jonny, looking forward to seeing you in about 11 days from this recording. Jonny Nastor: That’s awesome. It is. It’s going to be fun. Jerod Morris: It is. See you soon.